The great thing about gardening is that every sad weather moment has a sliver lining. The colder weather means more rest, the rainy days bring water for your plants and the falling leaves means you will have more leafmould at last. Leaves are an important part of the city garden ecosystem. They are great fungi food,and add lovely humus to your soil. It is often hard to find carbon rich, (or browns) for your compost and garden; we don’t tend to grow straw or mill wood in our cities, but we do have trees that give us a harvest of their leaves year after year. 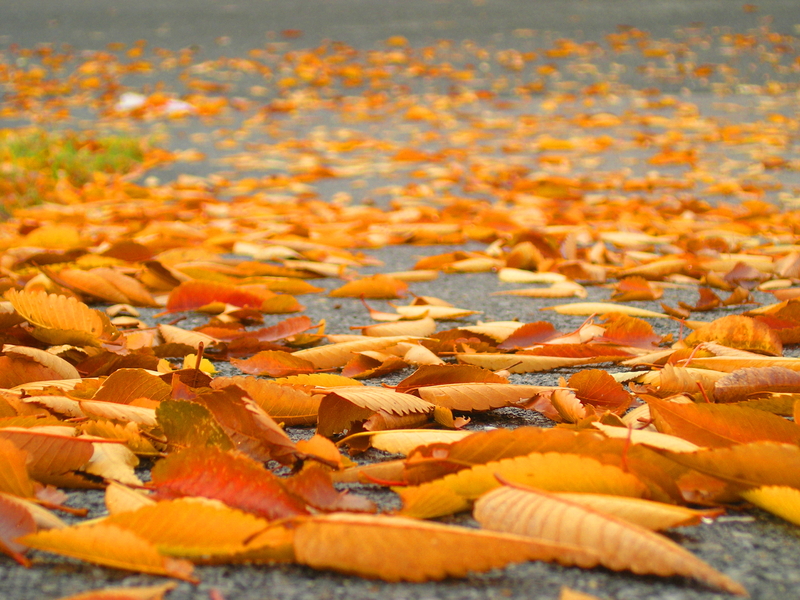 Leaves can be used as a great winter mulch, protecting your soil from all the snow and wind to come. 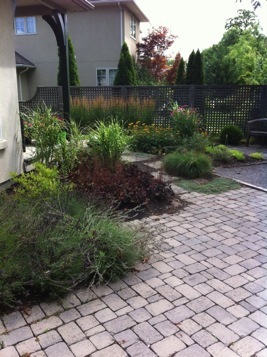 Simply lay down a layer of leaves on top of your bare soil 6″ to 1′ deep and that’s it. 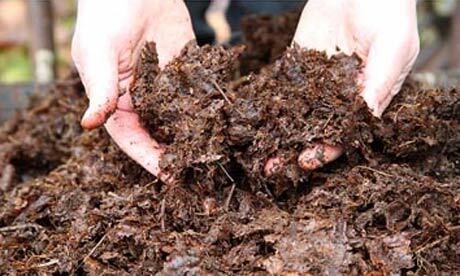 You can also add them to your regular composting operation as a brown material, using whatever ratio of brown to green you’ve come to like. Leaves are also the sole ingredient of leafmould. Leafmold is simply composted leaves. 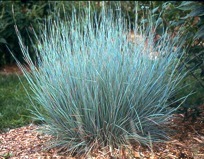 It is dark brown to black, has a pleasant earthy aroma and a crumbly texture, much like compost. Leafmold is a lovely soil conditioner, greatly increasing the water retention and structure of your soil. 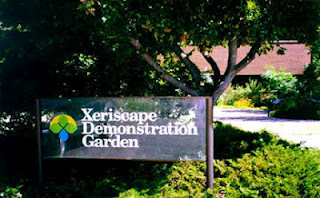 Used alongside compost and mulch it works to create a thriving Soil Foodweb in your garden. 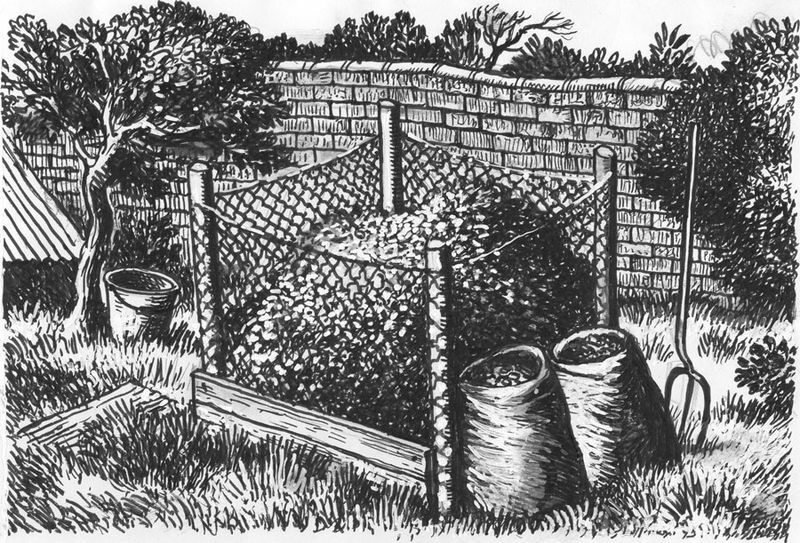 Making leafmould is so simple. 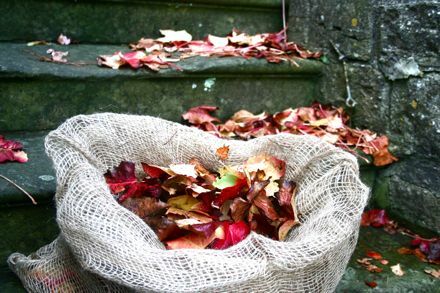 All you do is pile your fallen leaves in a corner of your garden, or in a wire mesh bin, keep them moist but not soaked and leave them for a year or more to break down slowly. The pile will shrink considerably as the leaves break down, so don’t be afraid to pile an absurd amount of leaves. Next year when it is time to collect up more leaves and make a new pile, you have some of the sweetest leafmould of your own and trust me, you will be excited.